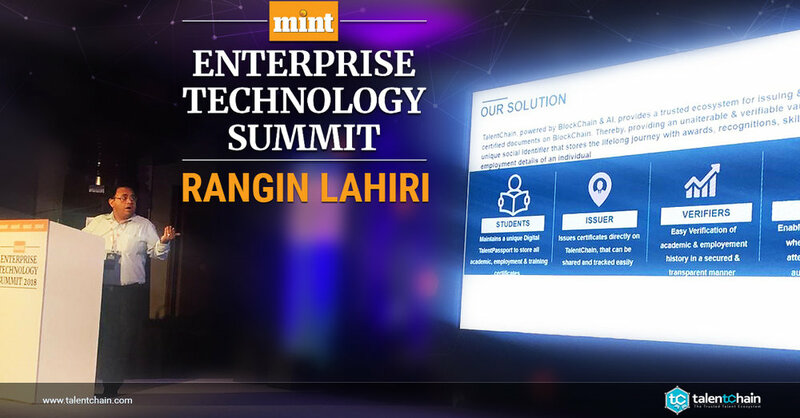 Qlikchain was part of new age Blockchain startups in Mint Enterprise Technology Summit held in Bangalore on 27th September, 2018. Our product Talentchain, was showcased with emphasis on the real world pain points and how With Talentchain™ powered by Blockchain technology, we aim to take the bull by its horn in uprooting the problem from its very source itself. Launch event of QlikTrust-The Good Blockchain at New Business Summit of World Startup Factory on 25th January, 2018. Qlikchain had one of the largest number of visitors and everybody resonated with our pitch of sustainability and betterment of the world through Blockchain based sustainable audit platform that can take care of processes in sourcing, production, delivery and waste management. Qlikchain was proud addition to the World Startup Factory portfolio and was there at the Opening Celebration of Impact Accelerator #3! A great crowd and an invaluable first pitching experience for Qlikchain! Qlikchain did it's Product Pitch on Sustainability,Provenance and Blockchain based Audits and got a number of leads from the audience.